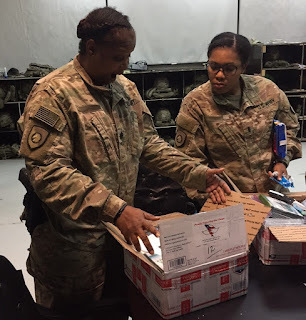 Care Packages for Soldiers: Soldiers in Iraq: Team had a great time opening the boxes! 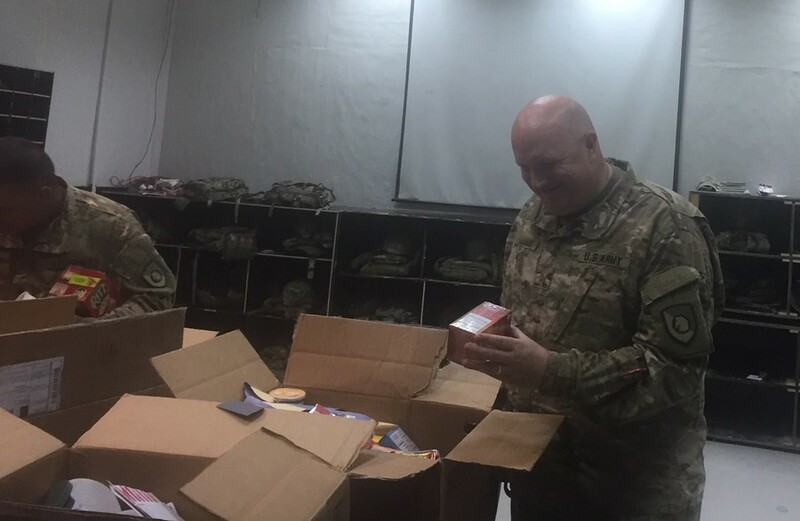 Soldiers in Iraq: Team had a great time opening the boxes! The Airborne Angel Cadets of Texas expect to ship over 1,000 care packages just to the U.S. Troops in Iraq in 2017. Many of these Soldiers, Sailors, Airmen and Marines are living in somewhat spartan conditions, and greatly appreciate our care packages. 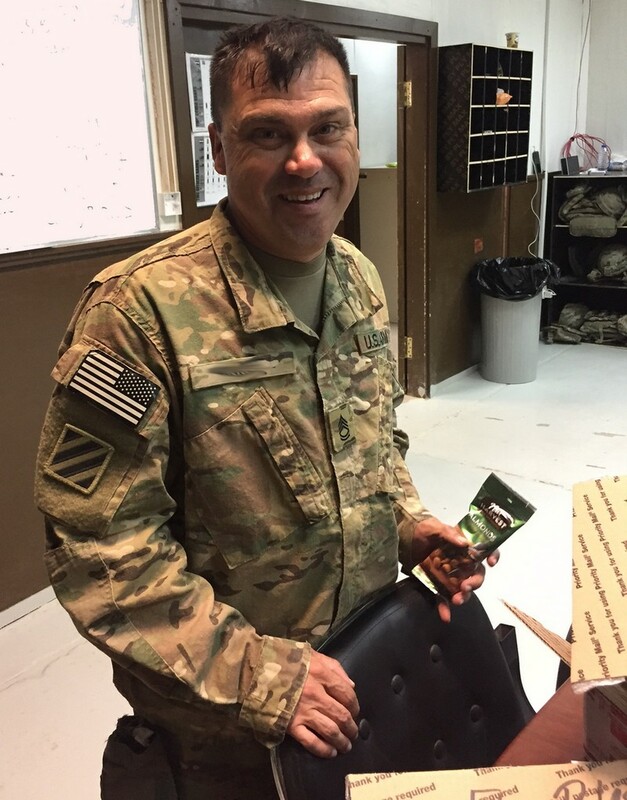 As much as possible, we focus our care packages on American military personnel who are serving in the most remote locations. "We received the boxes and I cannot express to you how grateful we are for your support. The team had a great time opening the boxes as you can see from the pictures". 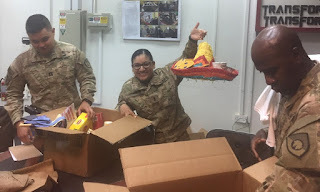 Below are 8 fantastic photos showing the troops enjoying our care packages! 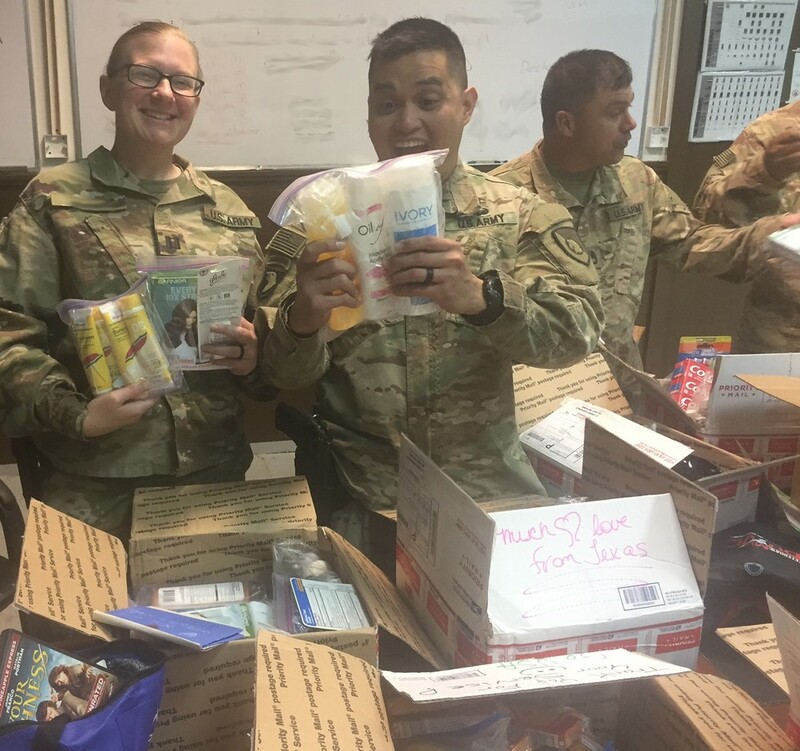 Smiling Soldiers enjoying lotions, body wash, shampoo and other care package items. 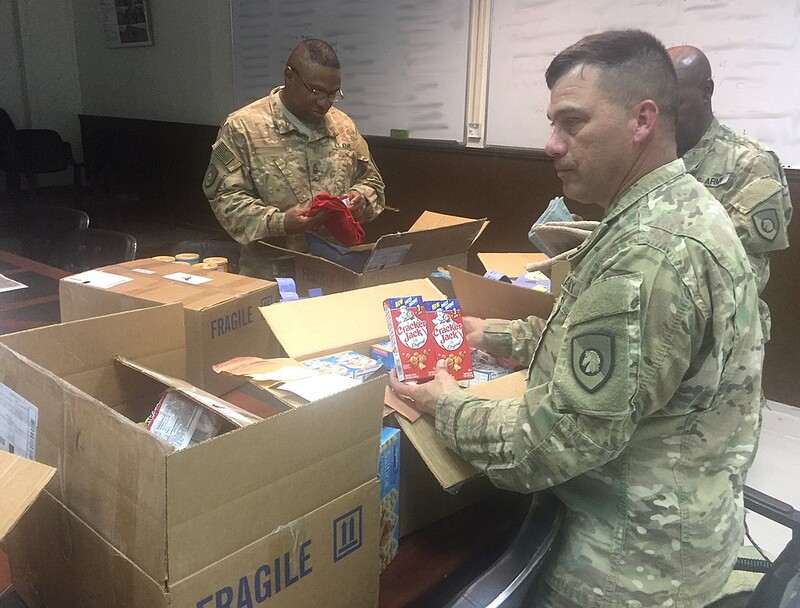 Care packages with Cracker Jack snacks generously donated by Frito Lay. Something good must be in Box #12! 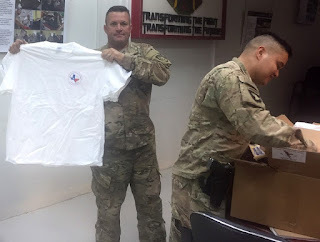 A 'Texas' t-shirt (donated by Citi) proudly displayed! 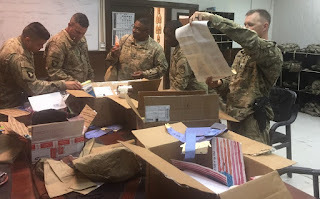 Soldiers smiling as they sort thru our care packages in Iraq. A surprise sombrero in our larger care package boxes! Troops opening care packages, which include drawings and well wishes from home! Soldier in Iraq enjoying almonds donated by Frito Lay.